Metis Beach, a predominantly English speaking municipality on the Lower St.Lawrence, is one of the oldest summer destinations in Canada. Located between Quebec City and Gaspé, the English settlement dates back to 1759 making it almost 250 years old. In the beginning, Seigneur MacNider brought settlers over from Scotland to what became Metis Beach. With this Scottish influence, it should be no surprise that this area would later become the home of two of the oldest golf courses in Canada. By 1875 Metis Beach was already a popular resort welcoming several thousand tourists every summer. Throughout the years there were 12 hotels and many cottages to accommodate the travellers who enjoyed the beauty of the sunsets, the fresh salty air, boating, tennis, dancing, Deep Sea fishing, trout fishing, and the beach. Mr. James Aird introduced golfing to Metis Beach between 1885 and 1890. Passionate about the game, he brought his golf clubs on vacation and practised in a vacant field. The adjoining land became the Cascade Golf Club in 1900, whose membership included some of the greatest golfers of that time. 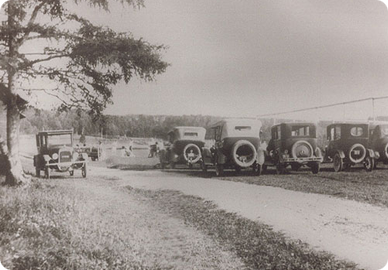 In 1919, the Astle family, owners of the Metis Lodge, Boule Rock, Hillside, and Seaside hotels, observed the growing popularity of golf at the Cascade with interest. Their vision would transform their rolling hill farmland into a spectacular golf and tennis club. The elevated location captured the scenic beauty of the St. Lawrence and the surrounding landscape that is unsurpassed. Members of the Astle family culminated their assets of money and land to develop the Boule Rock Golf and Tennis Clubs. 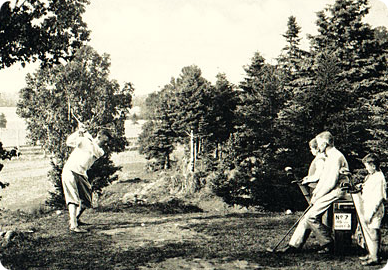 It was described as the sportiest golf course on the Lower St. Lawrence and would maintain a friendly rivalry with its older neighbour for the years to come. As the popularity of the course grew Albert Murray a well-known golf professional and two-time Open Champion, redesigned the layout of the 18-hole course in 1923. The Astle families' aging visionaries and founders didn't have any heirs that were as passionate about golf as they once were and decided to sell in 1960. 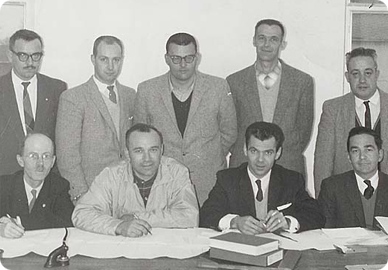 In 1960 a group of 25 regional sports enthusiasts bought the golf course and named it Le Club de Golf Boule Rock Inc.
Plans were immediately made to build a clubhouse. With the help of an architect and the finances of additional shareholders the two storey clubhouse with a restaurant and dining room was completed in July of 1961. During the 1970's, the modes of transportation had changed. With air travel becoming more popular, fewer people were making the 12 hour train ride from Montreal to Metis Beach and the number of tourists were steadily decreasing. The golf course began to rely more on regional membership. Throughout the years the group updated the machinery, lengthened some holes, and took pride in the work that was done on their cherished golf course. With the development of new golf courses in the area, the group responded by taking on their most ambitious project. An automated irrigation system was installed in the 1990's which made it possible to enjoy immaculate greens and lush fairways throughout the golf season. In 1998 the group sold the golf course to Gagné Holdings Inc. Renovations were immediately made to the builbings, machinery was updated, and ameliorations were made to the terrain. The Clubhouse was expanded to accommodate 200 golfers, the pro shop was given a second floor, and a washroom was added on the grounds. The golf course entrance was given a face lift to welcome golfers with a new sign and a paved parking lot. Ecological electric club cars were purchased to add to the tranquility of the course. Over 8000 trees were planted along the fairways to give them definition. Ongoing maintenance is always the priority to keep the course at its best. The 12 original hotels that greeted tourists in Metis Beach have disappeared, but the colourful summer cottages continue to bring many of the old families back every summer. The visionary founding fathers of the Boule Rock would be delighted to know that their gem of a course continues to glimmer for all those fortunate enough to play here.